Nancy leathem's Trees and Branches: Lancaster’s cat. Gosford 1949. 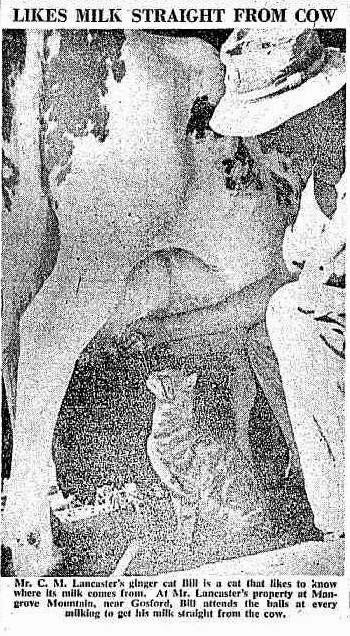 Mr. C. M. Lancaster’s ginger cat Bill is a cat that likes to know where its milk comes from. At Mr Lancasters property at Mangrove Mountain, near Gosford, Bill attends the bails at every milking to get his milk straight from the cow.